Flower pot with a spell. Either as shown, or you can send us your desired text. You can also change the color of the text. 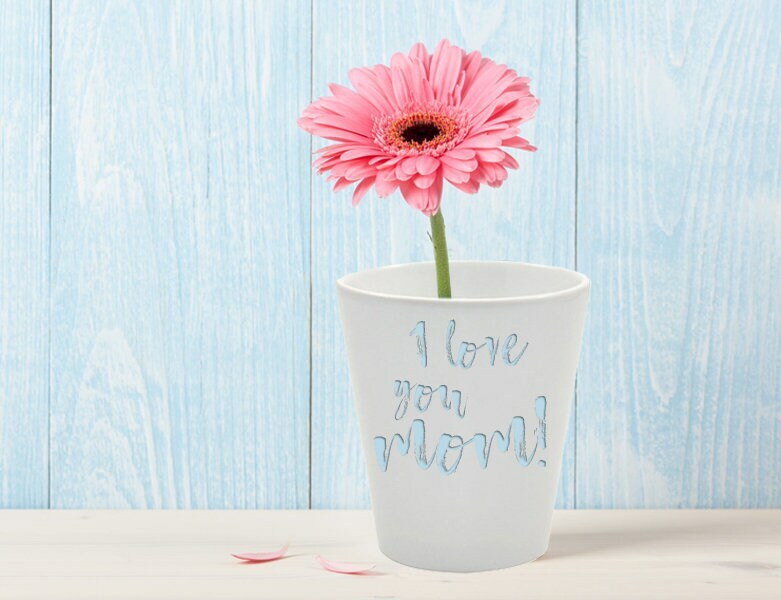 Your personal gift eg to Mother's Day. The cups are sent with our logo.